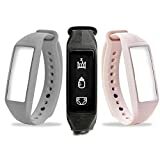 With the Project Nursery Parent & Baby Smartband you will get a parent health tracker, baby health tracker, pregnancy tracker, reminders, a digital watch, and more all in one sleek little smartband. It can be worn by both parents and syncs automatically by Bluetooth to your smartphone. With the many features and uses that come with the Project Nursery Parent & Baby Smartband, any parent will get their money’s worth out of this product. It is made to be used from day one and beyond to help us keep up with the demands that are required of being a parent in this busy era. 3 EASE OF USE | Tons of Features! From pregnancy journaling and fitness tracking to baby health, the Project Nursery Parent & Baby Smartband has your back when you’re going through big life changes. Project Nursery has teamed up with Voxx Accessories to create a one-of-a-kind smartband that tracks almost everything you can think of when it comes to health, pregnancy, and baby. From pregnancy journaling and fitness tracking to baby health, the Project Nursery Parent & Baby Smartband has your back when you’re going through big life changes. As new (and emerging) parents can testify, the stresses and exhaustion that come with being pregnant and having a newborn cause fatigue and extreme forgetfulness. This smartband can keep everyone’s life more organized and safe by helping you remember important events (like feeding baby or doctor’s appointments) and keeping track of baby’s entire schedule. During pregnancy, the Project Nursery Parent & Baby Smartband can help you keep track of fetal movements, daily medications or vitamins, exercise progress, and doctor’s appointments. Fight pregnancy brain by logging these important items directly from the smartband and then syncing with your phone later. When baby arrives, it’s just as easy to start tracking important health information for baby, too. Keep track of breastfeeding and bottle feeding, pumping, pre- and post-natal vitamins, medications, diaper changes, fetal movements, child weight, and naps to name a few. The SmartBand app also features a customizable reminder and alarm function which can literally be a lifesaver for forgetful parents (thanks sleep deprivation!) The Project Nursery Parent & Baby Smartband can help keep baby and parents healthy through pregnancy, infancy, and beyond. This smartband is very unique and totally wearable, unlike any other baby health monitors we’ve reviewed. If you’ve ever worn an activity tracker or flexible watch, the Project Nursery Parent & Baby Smartband is very comparable. It’s made with flexible plastic that wraps comfortably around your wrist. The band is 10 inches long, so it’s sure to fit a wide range of wrists sizes, even for the guys! It’s very comparable to the size of a small watch. Another thing that makes the Project Nursery Parent & Baby Smartband comfortable is its streamline look. It has a sleek and simple look that blends in with any outfit and jewelry. One excellent feature with this specific package is that there are three different band colors included: Gray, Pink, or Black. This is perfect for both parents and adds to versatility as well. Just pop out the tracker from one wristband and pop it into a different color to find a look that’s comfortable for any person or outfit. EASE OF USE | Tons of Features! Versatility is where the Project Nursery Parent & Baby Smartband is a total win. First off, as mentioned above, there are three different colored bands that are all 10 inches long, perfect for both parents to wear that will match any outfit. When it comes to the tech specs, though, versatility goes more in depth. Cool enough for dads, too! The Project Nursery Parent & Baby Smartband is a Pregnancy, Parent Health, and Baby Health tracker all slammed into one little smartband. That means that this smartband can (are you ready for it?! ): monitor baby’s health (weight, feedings, naptimes, diapers), track parent’s health (steps, water intake, calories, distance, weight, exercise, hydration), track pregnancy health (fetal movements, vitamins, medications, exercise, doctor’s appointments), sets reminders (doctor’s appointments, feedings, diaper changes, etc. ), send smart phone alerts for calls and texts, and tells time. Whew! 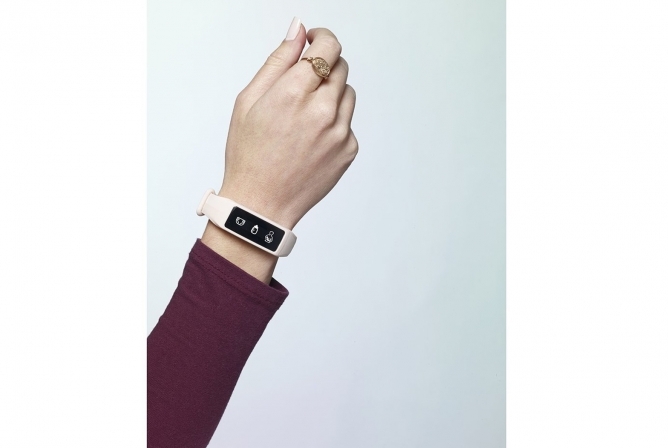 Can this smartband be any more versatile? 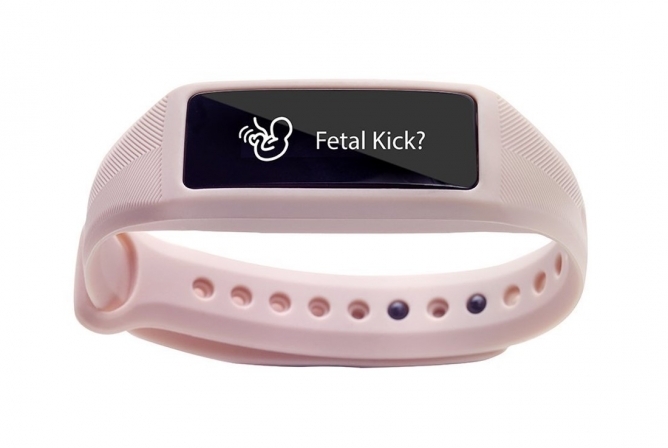 It’s a Pregnancy, Parent Health, and Baby Health tracker all slammed into one little smartband. One downside to all the awesomeness is that the Project Nursery Parent & Baby Smartband can only track one parent and one baby. If you have multiples you’d need to buy more than one band, which might be nice if each parent wants their own band anyways. If you have more than twins, good luck to you in more ways than one! In addition, you cannot have two bands connect with one app. Due to the amount of versatility and features, the Project Nursery Parent & Baby Smartband does take a little getting used to. Overall, though, this smartband is easy to use with simple icons and messages. This water resistant, touchscreen smartband also has a 30-day battery life (say what?!) and syncs wirelessly to your phone via Bluetooth. It comes with a charging cord that is small enough to keep in your bag. One feature that can be useful for busy parents is the ability for this smartband to send smartwatch alerts. When connected to your smartphone (iPhone or Android) the smartband will vibrate when you’re getting a phone call or text, seriously useful when you’re chasing babies and kids all day! When connected to your smartphone the smartband will vibrate when you’re getting a phone call or text. One of the best features that come with the Project Nursery Parent & Baby Smartband, however, is its tracking and reminder abilities. It’s able to be used as a general fitness tracker and tracks items such as daily steps, calories eaten and burned, distance walked, weight, exercise type, hydration, while also telling time. During pregnancy, it can be used to track fetal movements, medications, exercise, and doctor’s appointments. When baby arrives, the smartband can track diaper changes, naps, feeding amounts and schedules, baby’s weight, doctor’s appointments and more. Not only is a health tracker, but the Project Nursery Parent & Baby Smartband can set important reminders to keep everyone healthy and safe. For fitness, you can set hourly reminders to get up and move or other important events. Parenting is a whole other ballgame and this little smartband can remind you to change diapers, feed baby (yes, it can happen), pump, take a nap, keep appointments, and anything else you might need to remember. Reminders are set by using the app on your smartphone and then syncing to the smartband. You’ll know you’re getting a reminder when the smartband vibrates with a little message on its face. Speaking of messages, you can also set this little guy up to show encouraging and motivating messages to the wearer each day! It can set important reminders to keep everyone healthy and safe. All of this heaping information is stored on the Project Nursery Parent & Baby Smartband App, which saves historical data for both parents and baby in graphs and logs. This makes it easy to share with family, friends, and doctors. The information on the smartband is accessed by a touchscreen face. One thing to keep in mind with this smartband it that it’s a newer product, so the app most likely hasn’t had time to be perfect yet, which is very common with newer baby health monitors. There may be small glitches within the app that might cause problems occasionally. However, this should get better over time as the company does upgrades and improvements to the app. 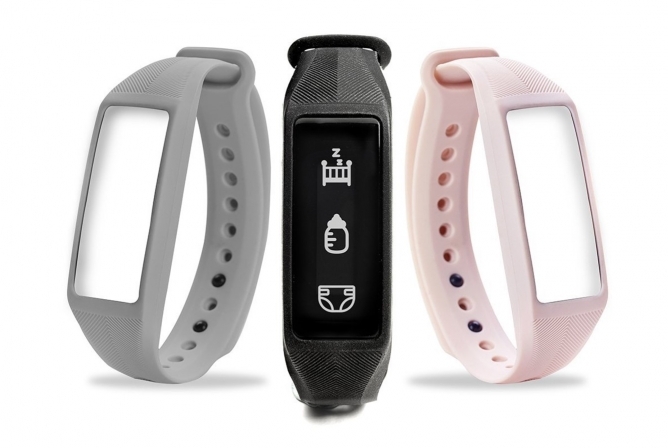 The Project Nursery Parent & Baby Smartband touchscreen and durable wristband are designed to keep up with parents through diaper changes, bottle washing and sleepless nights. It’s water (and puke) resistant and has a 30-day battery life. This smartband is made of durable and flexible plastic that is meant to bear the wear and tear of daily use. Because this is the first model that Project Nursery and Voxx Accessories has developed, there will most likely be an updated version in the future (as with any high-tech device). It’s water (and puke) resistant and has a 30-day battery life. Considering the long list of awesome features that the Project Nursery Parent & Baby Smartband, the price is a steal of a deal. To find all these features in other baby products and fitness trackers, you’d probably spend a couple hundred dollars. Included in this entire package is a Tracking Module, three bands (blush, gray, black), Micro USB Cable, Quickstart Guide and a Keepsake Box. Project Nursery also has an amazing website that makes Troubleshooting easy, as well as Setup. It also comes with a 1-Year Limited Warranty. You’ll really get your dollars’ worth for this little health tracker! It’s hard to find a good adult health, baby health, and pregnancy health tracker, especially a product that contains all three features. With the Project Nursery Parent & Baby Smartband you will get a parent health tracker, baby health tracker, pregnancy tracker, reminders, a digital watch, and more all in one sleek little smartband. It can be worn by both parents and syncs automatically by Bluetooth to your smartphone. With the many features and uses that come with the Project Nursery Parent & Baby Smartband, any parent will get their money’s worth out of this product. It is made to be used from day one and beyond to help us keep up with the demands that are required of being a parent in this busy era. 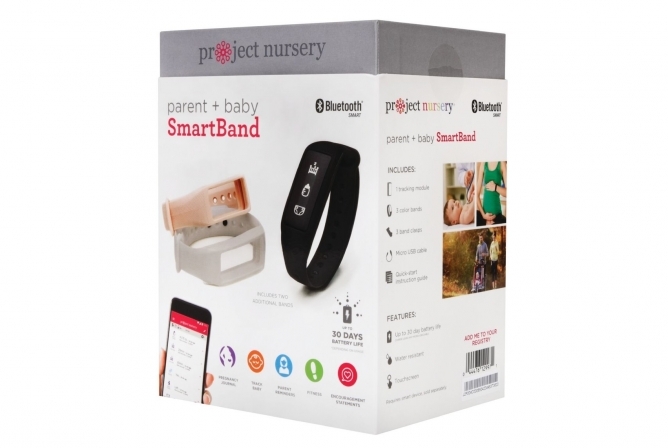 Unlike other Baby Health Monitors we’ve reviewed, the Project Nursery Parent & Baby Smartband is truly a one of a kind!